Closing Group Homes: Where Will They Go? The federal government is pushing two initiatives that will radically change how mental health services are delivered. Both are long overdue. 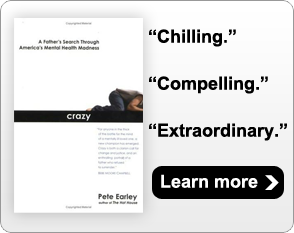 So why, as the father of an adult son with a mental illness, am I skeptical? The Justice Department is making states comply with a 1999 Supreme Court decision, Olmstead v. L.C. Two women brought the suit after they admitted themselves into a Georgia psychiatric hospital and then discovered that they couldn’t be discharged because no suitable housing in their community was willing to take them. The justices held that unjustified segregation of people with disabilities constituted discrimination in violation of Title II of the Americans With Disabilities Act. Public entities must provide appropriate community-based services, including housing, for people confined in nursing homes, group homes and mental hospitals. This year, prompted by Olmstead, the Justice Department scored a major victory when a New York judge approved a comprehensive settlement. Under it, some 4,000 residents living in 23 adult homes in New York City will move into apartments. The settlement follows similar suits in Pennsylvania, Rhode Island, Florida and New Hampshire. Other states are being targeted. The second major initiative is a shift of responsibility from state mental health agencies to private insurers. Under the Affordable Care Act, thousands of people with severe mental illnesses will become insured. Health officials predict that this shift will eventually make state mental health agencies obsolete. The concept of community-based mental health treatment was introduced by President John F. Kennedy and codified in the Community Mental Health Act of 1963. It set the stage for the mass closing of costly and often inhumane state mental hospitals. Many states have negotiated court-ordered settlements, promising community-based care to patients being warehoused in hospitals. Sadly, those promises went unfulfilled. Tax dollars saved by “deinstitutionalization” were not reinvested in community-based mental health care. Promised federal funds were either cut or never allocated. Homelessness ballooned, and jails and prisons became our new asylums. Two surveys by the National Alliance on Mental Illness have documented that most states today struggle to provide bare-bones community services. Consider Illinois, where 50 of its 102 counties have no psychiatrist. Even wealthy suburbs such as Virginia’s Fairfax County have long waits – a week or more to see a licensed therapist and two years for specialized housing. If the Justice Department is going to force states under Olmstead to empty group homes, the federal government must guarantee that suitable housing is available. We should not repeat the debacle of unplanned deinstitutionalization. If the government pushes a shift to private insurance, it must define acceptable community care. Subsidized housing, job training and therapy were critical to my son’s recovery. Will private insurers recognize the value of WeightWatchers as a treatment option when clients refuse to take medications because they cause weight gain? Most parents can recount horror stories about insurers who refused to pay for a costly antipsychotic medication until after their son or daughter failed first on a cheaper one, jeopardizing their stability. It has been 51 years since Kennedy’s call for community-based mental health care. The Olmstead ruling and the Affordable Care Act can help achieve that lofty goal. But unless Congress provides adequate funding and keeps a close eye on private insurers, both of its reforms may simply cause more suffering.